So I’m a bit of a lazy dude. Don’t get me wrong I love a good project or jig or art piece but sometimes I need something and I need it now, and I just don’t want to spend time making it nice. Soooooooooooo this is what I do when I need a zero clearance insert and no time to make one, I’m sure you have all done something similar, maybe you can post a pic or description of your quick fix too. Basically I get the fence lined up with the distance I need away from the blade and lock it down. Then grab a large enough piece of 1/4” ply and clamp it down over the blade and up flush against the fence. 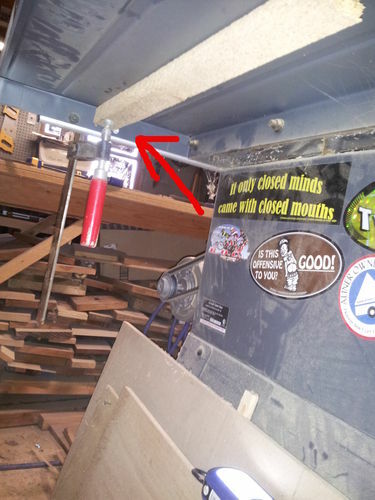 Notice the scap board under saw to make clamp work better. Make sure your blade is lowered all the way. 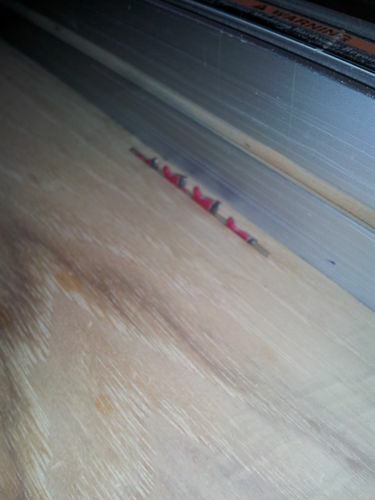 When clamped down good turn on the saw and slowly raise the blade so it cuts into and thru the 1/4” ply. 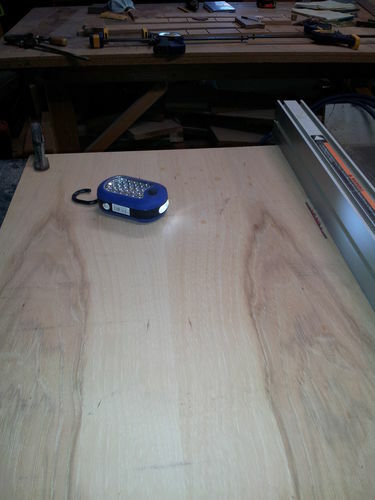 I raise it enough by eyball then shut off the saw to get fine measurements, repeat until its where it needs to be. I like it!!!! I sometimes do the exact same thing, works in a pinch….. I guess I was too lazy to think of it myself. Have you tried this with a dado set? niftynoel yup i’ve done it with the dado too it works fine. Thanks Phil, did you get my email? It’s not being lazy. It’s being smart. Thanks for the inspiration. I’m not sure I’ll bother to use my spare blank plate anytime soon. I like your idea better. That is a great idea! I never would have thought of that. Thanks for sharing, I could have used that today actually! Next time.